Home My Blog March 20th - Why Buy Now!!! 4 Reasons Spring is a Great Time to Buy or Sell a Home! 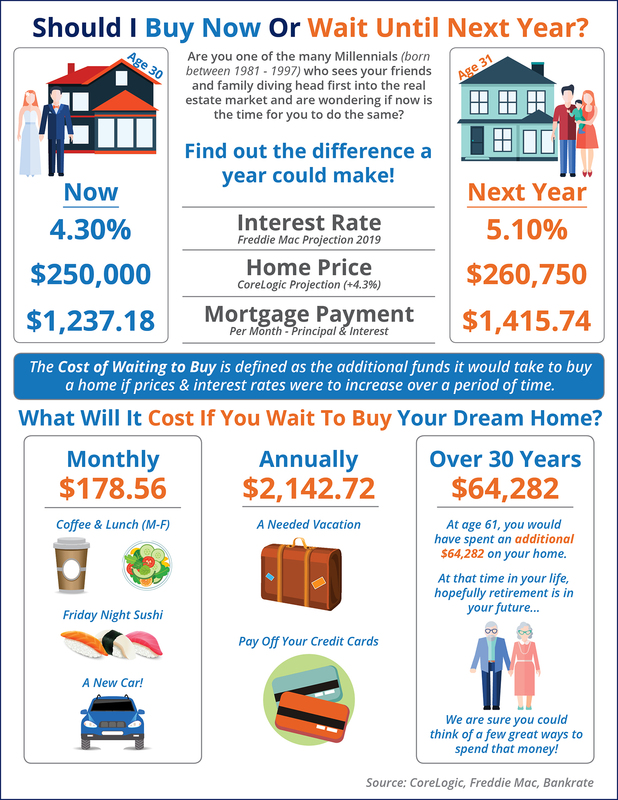 If you are thinking about buying or selling this year, it's critical understand what your opportunity cost is in doing it now versus delaying the decision Here are four great reasons to consider buying a home today instead of waiting. Supply is still very low and projected to stay low in the Portland Metro Area through 2018. CoreLogic’s latest Home Price Index reports that home prices have appreciated by 6.6% over the last 12 months. The same report predicts that prices will continue to increase at a rate of 4.3% over the next year. The bottom in home prices has come and gone. Home values will continue to appreciate for years. Waiting no longer makes sense. The Mortgage Bankers Association, Fannie Mae, Freddie Mac and the National Association of Realtors are in unison, projecting that rates will increase by nearly a full percentage point by this time next year.